~ Depending on how you look at it, Monrovia's preliminary homeless count shows the number of homeless in the city is up either a lot or a little - from 9 in 2018 to 18 in 2019, or from 14 in 2017 to 18 in 2019. Why discount 2018? Chi says it was "brutally cold" during the 2018 count, which "many experts have indicated depressed the numbers." Also, a lot fewer people living in RVs, from 33 in 2018 to 14 this year. MAFA's “Heart in the Arts” Cabaret & Art Show will feature live musical acts from Centre Stage Productions and an art display and sale from MAFA member artists. Tickets are $25.00 and available now at heartinthearts.eventbrite.com. Space is limited to 70 people so attendees should buy tickets as soon as possible. Ticket price at the door will be $35.00. For more information, call (626) 483-0560. Monrovia Police: Drunk Rolls Car; Drunk Mistakes Monrovia for Pasadena; Etc. During the last seven-day period, the Police Department handled 397 service events, resulting in 71 investigations. January 17 at 12:16 a.m., an officer was on patrol in the 600 block of S. Myrtle when he stopped a bicyclist for vehicle code violations. The stop led to a search of the subject and the officer found methamphetamine, a methamphetamine smoking pipe and a throwing star in the subject’s possession. The subject was arrested and later released with a citation to appear in court on the charges. January 17 at 11:39 a.m., a traffic collision was reported in the 1500 block of S. Mayflower. Two motorists had collided into one another, which caused one of the vehicles to collide into two parked vehicles. Officers and paramedics arrived to treat the subjects with complaint of pain. The investigation is continuing. January 18 at 11:12 a.m., a caller reported a subject in the 300 block of S. Primrose who was possibly urinating in the street. Officers arrived and contacted the subject. They found the subject was heavily intoxicated and unable to care for his own safety. He was arrested and held for a sobering period. January 18 at 1:34 p.m., a resident in the 900 block of California called police to report that an unknown suspect stole a package from his front porch. The investigation is continuing. January 18 at 6:11 p.m., an employee from a business in the 500 block of W. Huntington called police to report a female subject that concealed merchandise inside a backpack and left without paying. Officers arrived and located the subject. She was found to be in possession of the stolen property, methamphetamine and drug paraphernalia. A computer check revealed she also had a parole violation and warrants for her arrest. She was arrested and taken into custody. January 19 at 1:49 a.m., a resident in the 800 block of W. Foothill called to report that one of the windows to his apartment was smashed. The resident said an unknown subject threw eggs at his apartment window, which shattered the window. The subject left in a gray Honda prior to police arriving. Investigation continuing. January 19 at 7:55 a.m., an employee from a business in the 500 block of W. Huntington called to report a shoplifter was being detained by loss prevention. Officers arrived and located drug paraphernalia on the subject. A computer check also revealed the subject had an outstanding warrant. The subject was arrested. January 19 at 2:24 p.m., an employee from a business in the 500 block of W. Huntington called police to report a subject who shoplifted. Officers arrived and detained the subject. A computer check revealed the subject had warrants for his arrest. He was arrested and found to be in possession of a wallet containing other people’s credit cards and identification. The officers were able to confirm the subject had committed a burglary in Arcadia, where he stole the wallet containing the credit cards and the victim’s identification. Investigation continuing. January 19 at 9:20 p.m., a passerby saw four male subjects in front of a business in the 100 block of W. Duarte, and one of the subjects wrote graffiti on the wall with a green marker. The passerby called the police, who responded and located one of the possible subjects. No marker was found, but the subject was in possession of narcotics for sales and a replica gun. He was arrested without incident. Officers went back to the business and viewed video surveillance. Officers located a second subject who matched the subject in the video. He was also arrested and taken into custody. January 20 at 3:06 a.m., a resident in the 200 block of N. Myrtle called police to report a motorist that had crashed and the vehicle had rolled over. The motorist was driving north on Myrtle and clipped a parked vehicle, causing the vehicle to roll over. The driver was found to be intoxicated and had minor injuries. After field sobriety tests were conducted, he was arrested for DUI. January 20 at 12:42 p.m., a caller reported two motorists that collided in the 300 block of W. Duarte at the intersection of Magnolia. Officers responded to investigate the collision and found that no one was injured. Both motorists chose to exchange information, but did not desire a police report. January 20 at 1:11 p.m., police dispatch received a call reporting a male subject passed out in a parked vehicle in the 100 block of N. Myrtle. The caller believed the subject may be in need of medical attention. Officers responded and found the subject was heavily intoxicated. He thought he was in Pasadena and did not know what day it was. The subject had a court ordered breath tester to start the vehicle. After it was determined that he did not need medical attention, he was arrested for public intoxication and held for a sobering period. January 20 at 5:12 p.m., an officer was completing an investigation from a report of stalking that has been occurring primarily at a business in the 400 block of S. Myrtle. He called the victim to obtain further information and was told the suspect was in front of the business. Officers responded and took custody of the suspect, who has a restraining order against him that prohibits him from being near the victim. The suspect had violated the restraining order three times in the past few days. The suspect was arrested and taken into custody. January 21 at 9:21 a.m., a commercial burglary was reported at a business in the 2100 block of S. Myrtle. The victim rents a storage unit at the business and called to report the latch on her storage container was broken. It is unknown if anything was missing. The investigation is continuing. January 22 at 8:42 a.m., a resident in the 100 block of S. Mountain called to report his vehicle was stolen. He parked his vehicle in front of his residence on the street the previous night. He locked the doors and rolled up all the windows. When he returned the next morning, he discovered his vehicle was gone. There was no glass on the ground and all keys were accounted for. Investigation continuing. January 22 at 11:06 a.m., an employee from a business in the 1600 block of S. Mountain called police to report a male Hispanic suspect who came into the store and selected a power drill. He made no attempt to pay for the item as he left the location. He ran to a vehicle and fled the location, heading east through the parking lot. As he was leaving, the employee was able to get his license plate number. Investigation continuing. January 23 at 11:12 a.m., a resident in the 500 block of Sombrero reported her granddaughter’s boyfriend had just shattered one of the house windows, and then ran. Officers responded and searched for the suspect, but were unable to locate him. The granddaughter told officers that her now ex-boyfriend became upset over the telephone. He then showed up at the home and broke the window. This investigation is continuing. January 23 at 12:42 p.m., a motorist called police to report he had just collided with another vehicle in the parking lot of a business in the 900 block of W. Foothill. He believed the other motorist did not have a license, because they refused to provide it. Officers responded and found that both parties had a license and insurance, and no one was injured. Officers facilitated the exchange of information. January 23 at 2:34 p.m., a traffic collision was reported involving two motorists in the 3300 block of S. Peck. No one appeared injured. Officers responded and confirmed there were no injuries. Both drivers exchanged information with one another and did not desire a collision report to be filed. 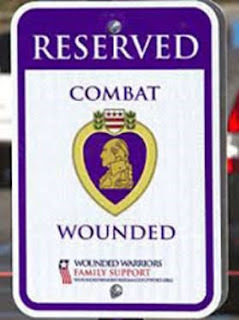 Wounded Warrior Parking Spots; Homeless Prevention Program Working Well; State of City; Etc. 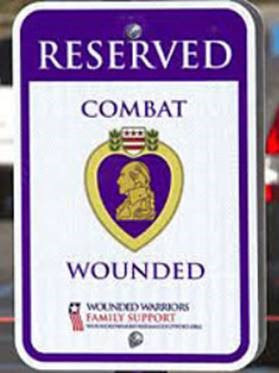 ~ Monrovia is considering an American Legion suggestion request to install up to four Wounded Warrior Veteran parking spaces in Old Town, one on Palm between the Community Center and the Library, one of Lime between the Library and the Lime Parking Lot, one in front of City Hall, and one somewhere in the 400 block of Myrtle. ~ Initial results of Monrovia's Housing Displacement Response Program, designed to help prevent homelessness for existing Monrovia residents, "have exceeded every expectation that we had when the program was first launched." Twelve families have been helped since the program started in mid-2018. The city is partnering with Mountainside Communion Church, which runs the program, which only provides help "after a thorough review process." ~ You can attend the annual State of the City Address. It'll be on Monday, Jan. 28, at Studio Movie Grill, at 7 p.m.
~ Monrovia has won a 2018 California Park & Recreation Society Award for its Monrovia Today quarterly newsletter. The award recognizes outstanding achievement in multiple parks and recreation areas, including marketing and communication. The city will be recognized at the annual Recognition Banquet in March in Sacramento. ~ Scheduled for Black History Month: Jazz Brunch Featuring Nolan Shaheed Quintet, Feb. 2, 11 a.m.-2 p.m. at Monrovia Community Center, Tickets: $32; Children's Art Festival & Dinner, Feb. 7, 5:30-7:30 p.m. at Monrovia High; Black History Luncheon, Feb. 23, 1 to 3 p.m., Monrovia Community Center, Tickets: $20. 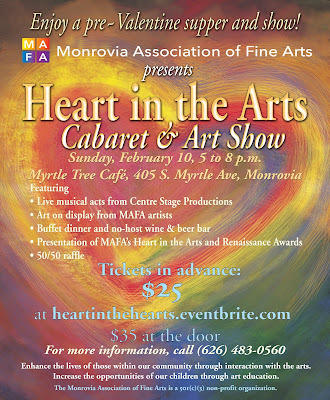 Tickets at Simply Divine Salon, 319 W. Huntington Dr., Monrovia. ~ Caltrans will soon be cleaning up its property along Evergreen Avenue, mostly between Mayflower and Primrose avenues. I spoke with a park volunteer today who told me the rains have messed up the trails and they’re unsafe. She guesstimated they’ll be open by next week, though I got the sense it might be earlier if all goes well. UPDATE: I spoke to a city official this morning who said the city hopes to have the park and preserve open by tomorrow, Thursday. I just came across these December 2010 pictures of Monrovia's Sawpit Dam overflowing. Even with the recent rain, these days the dam is still virtually empty. Times have certainly changed. 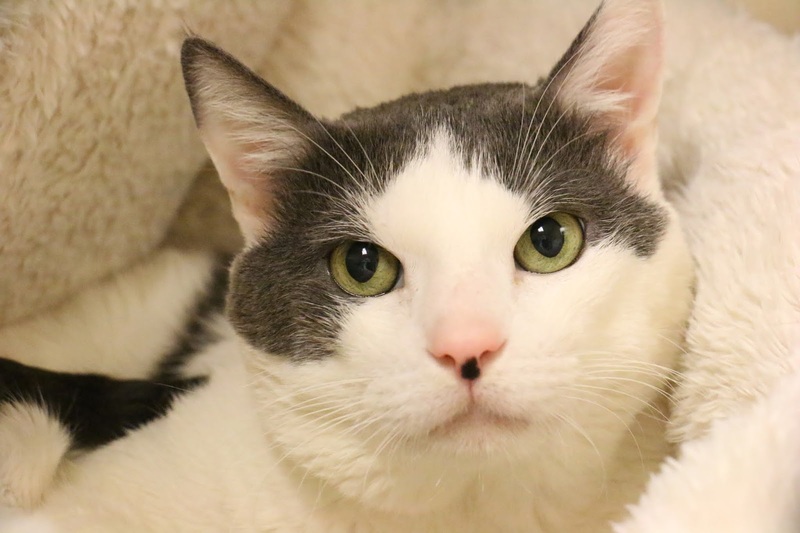 Meet Patches (A470134), a 7-year-old domestic shorthair who found his way to Pasadena Humane when his owner had to move to an apartment that didn’t allow pets. He came in a bit shy and wouldn’t approach the kennel when visitors came around. In the last month, however, he has slowly come out of his shell and now will hop out of his bed when a visitor comes by. He likes to be petted from head to tail and head bump your hand for more. He’s looking for someone with pets, treats, and the offer of a forever home. ~ Will honor teacher Philip Heng on being named "Educator of the Year," by the California League of Schools. ~ Will consider hiring On-Site Welding & Construction for $23,901 to manufacture and install wrought iron fencing on the east side of Bradoaks Elementary School. ~ Will, together with the Chamber of Commerce, honor Employees of the Month for January: Jennifer Dana, Teacher at Mayflower Elementary; Cherie Holguin, Instructional Aide at Plymouth Elementary; and Sheena Rehaume, Teacher at Plymouth Elementary. Monrovia Police: Harassing Text Messages; Daughter vs. Mother; Stolen Car Parked Next to Police Station; Etc. During the last seven-day period, the Police Department handled 397 service events, resulting in 90 investigations. January 10 at 9:14 a.m., a resident in the 600 block of W. Foothill called to report a suspicious person in the laundry room of their apartment complex. Officers responded and located the subject. The subject was recently released from custody and is on probation. During a search of his person, a counterfeit key used to open mailboxes was discovered. He was arrested for possession of a burglary tools. January 10 at 8:39 p.m., an officer conducted a traffic stop at Ivy and Huntington for a traffic violation. During the traffic stop, it was discovered that the driver had a suspended license and was in possession of methamphetamine. A computer check revealed the passenger had an outstanding warrant for his arrest. Both subjects were arrested and taken into custody. January 11 at 1:00 a.m., an officer was patrolling the 400 block of W. Foothill when he saw two suspicious subjects loitering in the parking lot. Officers contacted the subjects and discovered both were in possession of drug paraphernalia, a large quantity of mail addressed to over 40 different locations, and bank cards/checks in other person's names. The two subjects were arrested and taken into custody. January 11 at 1:28 a.m., a vehicle burglary was reported in the 700 block of W. Huntington. The victim called to report his vehicle was broken into while he was inside a business. An unknown suspect smashed one of the vehicle windows and took the victim’s wallet. Investigation continuing. January 11 at 1:58 a.m., an officer responded to a domestic violence report at a residence in the 1900 block of S. Peck. The victim called to report her husband had scratched and strangled her, and then left the location in a vehicle. Officers arrived and conducted an investigation. Later that morning, an officer located the suspect's vehicle driving south of the location. A high-risk stop was conducted and the suspect was arrested and taken into custody without incident. January 11 at 7:27 a.m., a gardener working in the 200 block of W. Palm saw a male subject steal his leaf blower and walk into the common area of an apartment complex. Officers arrived and knew of a possible suspect, based on the description provided by the victim. Officers conducted a door knock at an apartment and spoke with the female resident. She eventually admitted her ex-boyfriend stole the leaf blower and was hiding upstairs. The victim of the theft did not want prosecution, but the suspect was arrested for being in violation of an active, domestic violence restraining order. January 11 at 8:21 a.m., an officer was dispatched to the 200 block of S. Fifth regarding the report of a stolen vehicle. The resident had parked her vehicle in the carport at the location and it was stolen sometime overnight. The investigation is continuing. January 11 at 9:20 a.m., a resident in the 100 block of N. Garfield called to report she had a domestic violence restraining order against her ex-boyfriend and he was sending her harassing text messages. Officers reviewed the text messages and contacted the ex-boyfriend. He initially denied the allegation and said the phone number was not his, but officers proved that to be false. Eventually, the subject admitted he sent the text message, and he was arrested for violating the restraining order. January 11 at 3:32 p.m., an officer responded to the report of a vehicle burglary at a business parking lot in the 600 block of W. Huntington. While the victim was inside a business, an unknown suspect broke into her vehicle and took her purse. The suspect gained entry to the vehicle by smashing a window. Investigation continuing. January 11 at 5:31 p.m., an attempted robbery was reported to police. The victim called to report that while he was walking in the 400 block of S. Myrtle, an unknown, male, Hispanic subject attempted to steal his skateboard through threat of force. When he was unsuccessful, he fled from the area. The investigation is ongoing. January 12 at 12:16 a.m., a caller reported that a motorist had just crashed into a center divider in the 200 block of W. Duarte. Officers responded and determined it was a solo vehicle collision. The driver was not injured, but was found to be heavily intoxicated. After field sobriety tests were conducted, he was arrested for DUI. January 12 at 6:43 a.m., a resident in the 200 block of El Nido called police to report his Toyota 4Runner was stolen overnight. The vehicle was recovered several hours later by the El Monte Police Department. Investigation continuing. January 12 at 8:51 a.m., an officer saw a known subject riding a bicycle in the 200 block of S. Alta Vista. The bicycle matched the description of one that had been reported stolen on January 10. He stopped the bicyclist and determined it was the stolen bike. The subject was arrested for being in possession of stolen property and the bicycle was returned to the owner. January 12 at 9:39 a.m., a resident in the 500 block of Norumbega called to report a theft from his vehicle that occurred overnight. He left his vehicle unlocked, and in the morning, he discovered some clothing that was left inside had been stolen. Investigation continuing. January 12 at 7:52 p.m., an employee from a business in the 1600 block of S. Mountain called police to report a possible shoplifting in progress. One subject fled on foot prior to the officers arriving and dropped the stolen merchandise. A second subject was attempting to flee in a vehicle, but was stopped by officers. The investigation revealed the vehicle was stolen and the driver had a no-bail warrant for her arrest. She was arrested and taken into custody. The investigation is continuing. January 13 at 11:10 a.m., an employee of a business in the 500 block of W. Huntington called police to report a male subject in his twenties that had just walked out of the store with merchandise and did not pay. Officers responded, but were unable to locate the subject. The subject had taken five pairs of jeans. This investigation is continuing. January 13 at 4:12 p.m., an officer was dispatched to a business in the 500 block of W. Huntington regarding a male subject who purchased merchandise using someone else’s credit card. The card number had been put into his cellphone, which was used to complete the transaction. The suspect left the store with the merchandise and fled in a vehicle driven by another male subject. Officers arrived and stopped the vehicle. The suspect was arrested and the stolen property was returned to the store. The suspect also had several warrants for his arrest. January 14 at 1:30 a.m., an employee from a business in the 400 block of W. Foothill called police to report several intoxicated subjects inside the location. Officers arrived and found one of the subjects was heavily intoxicated and unable to care for his own safety, so he was arrested for public intoxication and taken into custody. January 14 at 5:06 a.m., a resident in the 1100 block of S. Fifth called to report that someone had broken into his vehicle. A window was broken and power tools were taken from the vehicle. The investigation is continuing. 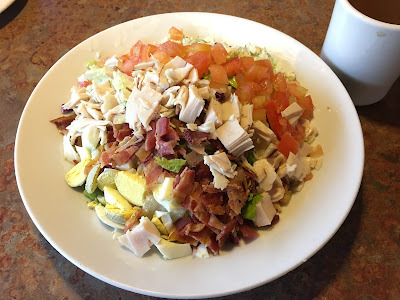 January 14 at 8:06 a.m., an employee from a business in the 400 block of W. Duarte called to report that a customer entered the establishment, ordered food, enjoyed her meal and left without paying. Officers arrived, but the subject had already left. Investigation continuing. January 14 at 11:47 a.m., a male resident in the 500 block of W. Colorado called to report that his sister was at the location and was fighting with his mother. Officers arrived, conducted an investigation, and the mother placed the sister under private persons arrest. The suspect was arrested for battery and taken into custody. January 14 at 8:02 p.m., a theft from a vehicle was reported at a residence in the 800 block of E. Lime. The resident was unloading her vehicle in front of her residence and made several trips back and forth, leaving the vehicle unlocked. When she was finished, she noticed her laptop had been stolen from inside the vehicle. Investigation continuing. January 15 at 12:33 p.m., a traffic collision involving three motorists was reported in the 1800 block of S. Duarte. Officers and Monrovia Paramedics arrived and found two of the parties were injured. They were taken to local hospitals for treatment. One of the vehicles was traveling west and the other was traveling south. They both claimed they had a green light. The third party advised they weren't paying attention and were struck by one of the other vehicles. The investigation is continuing. January 16 at 10:10 a.m., police dispatch received a report of a stolen vehicle that was traveling north on Myrtle in the downtown area. Officers located the vehicle with the help of the Los Angeles Sheriff’s Department helicopter. The vehicle turned east onto Lime and parked near the Monrovia Police Department. Officers responded and detained the two occupants inside the vehicle, a female passenger and a male driver. The passenger was identified and released, and the driver was arrested. The stolen vehicle was returned to the owner. BurgerIM Opening in Monrovia; Dal-A-Ride Will be for Disabled Only; Etc. ~ Monrovia's Dial-a-Ride program will soon be for disabled people only (others use Lyft) and they will have to register before using the service. You can do that here: https://goo.gl/h6m3qt. There will be a community meeting about this Tuesday, Jan. 22, from 5:00-6:30 p.m. in the Library Community Room. ~ The annual State of the City Address is scheduled for Monday, Jan. 28, at Studio Movie Grill in Old Town, at 7 p.m.
~ Members of Monrovia Historic Preservation group spent three months last summer getting permission from 44 owners of pre-1888 homes to put 8" wide by 6" high brass plaques placed on their homes, identifying them as "First Houses." ~ A Senior Resource and Wellness Fair will be held Thursday, Jan. 17 from 11 a.m.-1 p.m. at the Monrovia Community Center. Flu shots, pulmonary testing, blood pressure screenings, information on transportation, senior housing, at-home care and more. Call the Community Center at 256-8246 for more information. Aries (A469666) is a sweet 9-year-old dog with an attitude of a puppy. He's a little shy when you first meet him, and tends to hide in his den when there is a lot of noise, but he warms up quickly. He likes the attention of others, especially volunteers who come into his kennel with a lot of treats, and likes to be petted. He’s an obedient dog who knows the sit and down commands and knows shake! Aries is eager to find his forever home and family so he can start cuddling all day long! Limit of 15 gallons or 125 lbs. per vehicle. Bring items in a sturdy box, preferably in original labeled containers. Be prepared to leave your containers. Do not mix products.